When the Oxford Street store opened we all wondered what this rumor of Oxford Street soap woukd smell like. We all thought it might be scented with the 29 High Street fragrance, however it isn’t. Instead this has a nice, clean citrus fragrance. 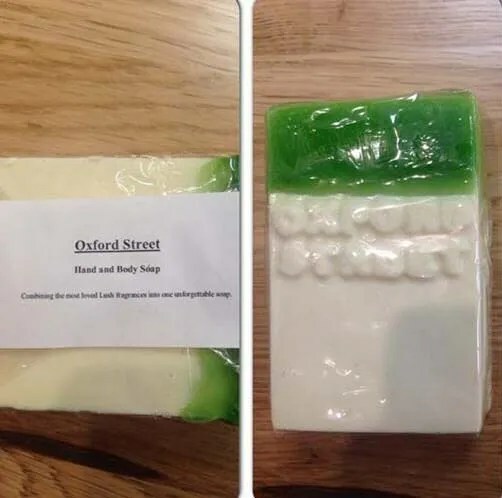 Oxford Street soap has no tonka nor ylang ylang as the 29 High Street perfume does. 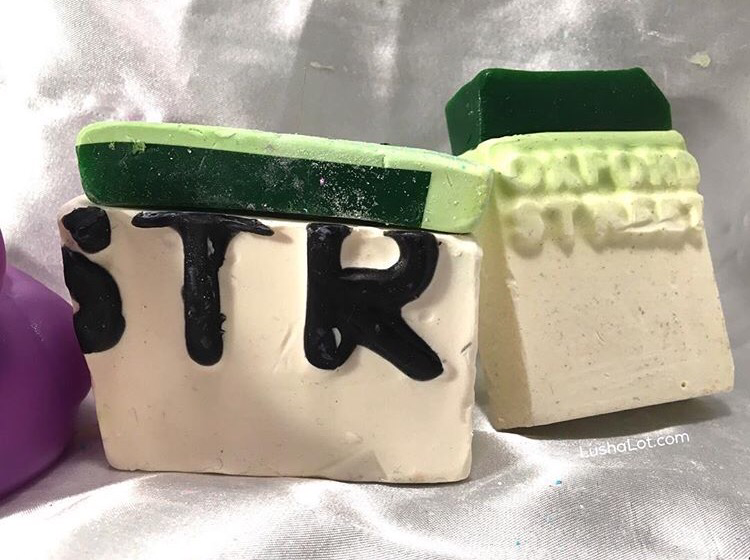 Here’s a picture I took of both my Oxford Street store guest soap, and a big piece chopped off the giant Oxford Street soap. 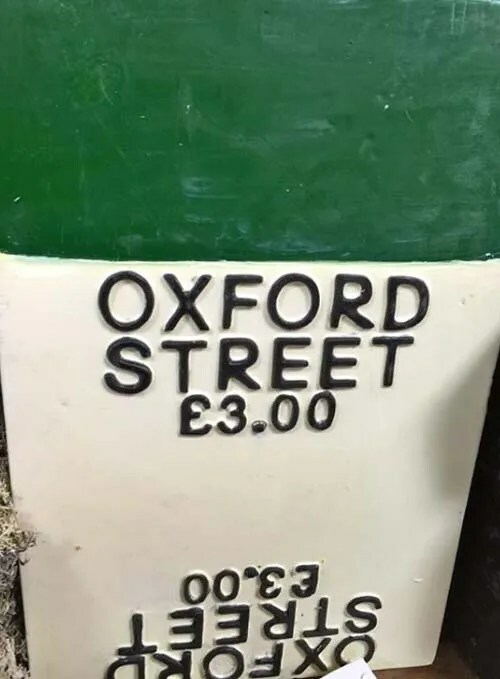 The giant oxford soap looks like a street sign. Posted on May 2, 2015 by Lushalot	• This entry was posted in Lush Oxford Street store exclusives, New, Soaps. Bookmark the permalink.